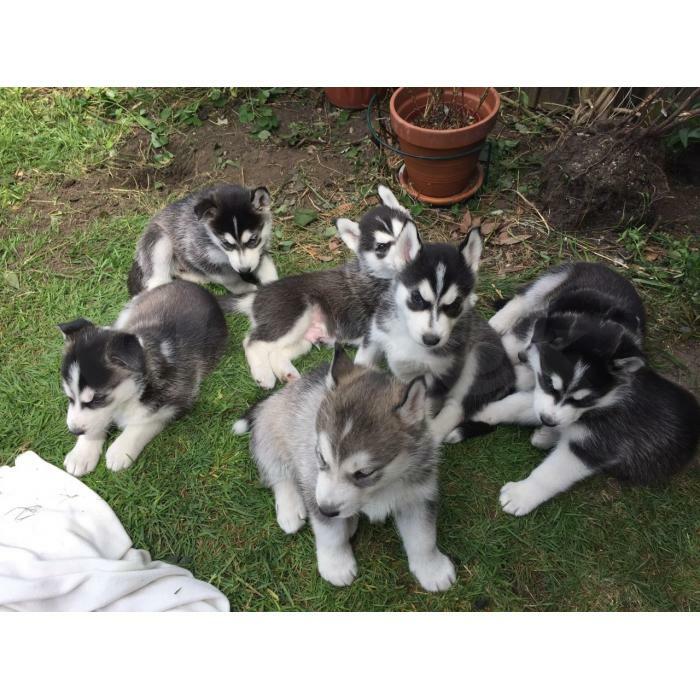 Beautiful Siberian Husky pups, 100% purebred & registered. Exquisite quality, loving and sweet temperment. Home raised with lots of love & kisses. Come with health records and 1 year health guarantee.